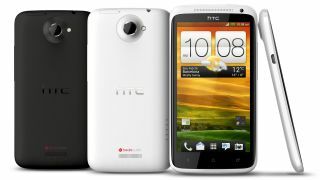 HTC One XL to be Britain's first 4G phone? File this under rumour for now, but the scuttlebutt on the interweb is that the HTC One XL will be one of if not the very the first 4G capable phone on offer when the Everything Everywhere 4G network goes live in September. According to the fine fellows over at PocketLint, the handset will be good to go when the UK's first 4G network is released from its regulatory shackles on September 11. However, the actual go-live date for Everything Everywhere (EE) is not expected until later in the month, or perhaps October. The HTC One XL is mostly a dead ringer for the HTC One X, save for the XL's go-faster 4G stripes. There's no beefing up of the battery though, which raises question marks over how well it will handle the pressure. If true, this HTC will be just one among a brave new army of 4G handsets doing their super-speedy thing before the end of the year, including a fifth generation handset from a certain fruit-themed outfit. Subtlety doesn't suit us - we mean the new iPhone 5, obviously.